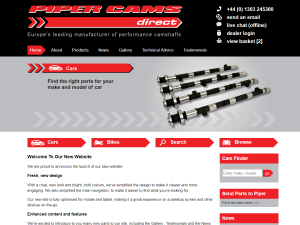 Website design is a critical part of any modern business. 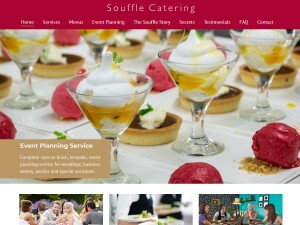 With advice from Goldhosts, your website can be a real asset to your business. We can provide as much or as little help as needed. We can give advice on Domain Names, Website Design, Website coding, Website hosting and keeping your website up-to-date. Most of our new clients come through referral - our happy customers are our best sales people. Please feel free to give us a call, we will be happy to discuss your website, even if you are currently using another web designer, and would like to know what questions you should be asking. 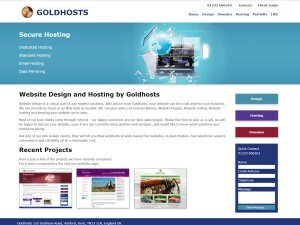 Ask any of our web design clients, they will tell you that Goldhosts provide hassle free websites, in plain English, free telephone support, convenience and reliability all at a reasonable cost. Here a just a few of the projects we have recently completed. For a more comprehensive list visit our portfolio page.